You just poured hours into researching, editing and optimizing your latest blog post. Most marketers face a major dilemma when it comes to getting more mileage out of their blog content. There’s an oft-cited stat from Buzzsumo noting approximately 50% of web content receives eight shares or less. The problem oftentimes lies in a lack of a content distribution strategy. Listen–promoting your content isn’t a game of quantity over quality. In fact, you might be shocked at how far you can stretch a single piece of content given the wealth of resources out there. There’s a reason why principles such as the 80/20 rule are so popular. This concept states that marketers should spend approximately 80% promoting their content and only 20% of that time creating it. The result? A more efficient use of your time and an increased chance that you score more significant shares. We’ve broken down seven proven content distribution tips, tactics and tools to ensure that you can do just that. If you want more eyes on your blog posts, you need to take a hard look at who’s going to see and promote your content. Your content distribution network represents the people who care about what you have to say. These relationships ultimately determine how “far” a piece of content can potentially go. Here’s a quick and easy way to get on the radar of people you want to add into your network. Connect their blog’s RSS feed in Sprout Social to automatically tweet out their newest posts. Attach a prefix of “via @theirname” so that they’ll get notifications every time you share their posts. Think of building these relationships as a way of proving that you’re worthy of being promoted. Meanwhile, promoting your network and sharing relevant content on a regular basis will ultimately result in your content getting a much-needed push from others in your space. The idea of publishing your content beyond the realm of your own blog may seem backward, right? But when you consider how platforms such as Medium and LinkedIn represent a direct line to millions of potential readers, it’s clear as to why so many marketers are double-dipping their content. Marketers are taking a similar approach to republishing on LinkedIn. Content published via LinkedIn’s internal article system has plenty of potential to get in front of professionals in your industry depending on the size of your niche. Considering that publishing to these platforms requires little more than an investment of your time, they represent a low-effort and low-cost means of content distribution that could result in more readers through consistency. Speaking of consistency, don’t treat the promotion of your content as a sort of “one and done” affair. Think about it. If you dedicate a single tweet to your latest blog post, chances are the bulk of your fans and followers are going to miss it. 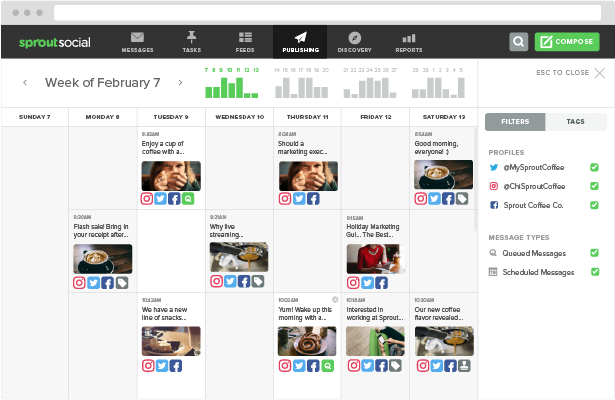 That’s why scheduling your social content is a must-do for those who want to encourage more shares and visibility of their blog posts. Given the fast-paced nature of our social feeds, hyping up your latest post multiple times is totally fair game. Simply switch up your captions, hashtags and imagery to keep from parroting yourself to your followers. Just because an influencer or fellow blogger doesn’t shout you out the first time around doesn’t mean it’ll never happen. By taking the time to queue up your post promos based on the best times to post on social media, you increase your chances of being seen even more. If you’re creating any form of problem-solving content, perhaps it’s time to bring your expertise to Quora. Anyone searching Google for a “how to” or “why” query are taking to Quora by the millions to have their burning questions answered ASAP by real-life experts. Answering in-depth questions while citing and sourcing your blog posts is a brilliant marketing move that’s worth your while. Not only do you increase the visibility of your blog, but also position yourself as a mover and shaker in your respective industry. Note that this isn’t a place to copy-and-paste your blog post, but provide meaningful, relevant insight to those in your space. Remember what we mentioned earlier about building relationships? 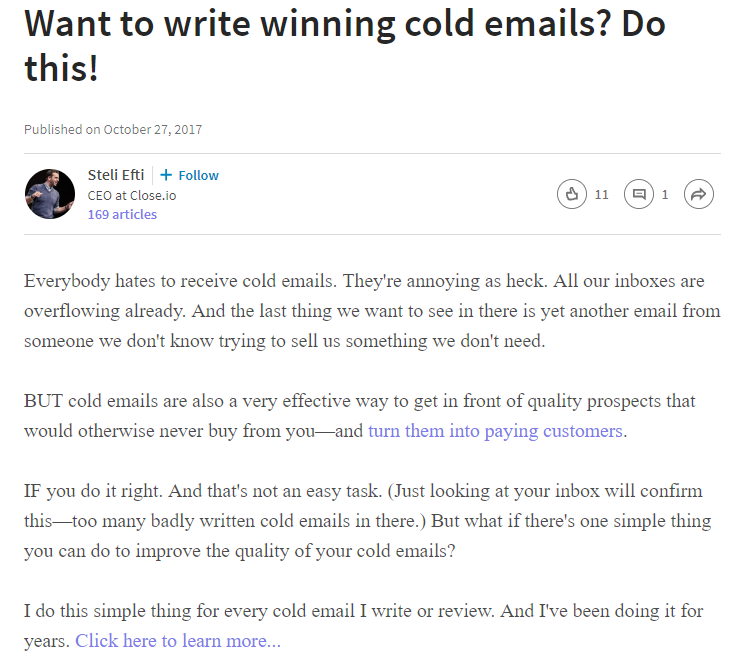 Beyond content distribution, Quora is a great place to source ideas for future blog posts. This helps you better understand what current topics and problems are on the minds of your audience. 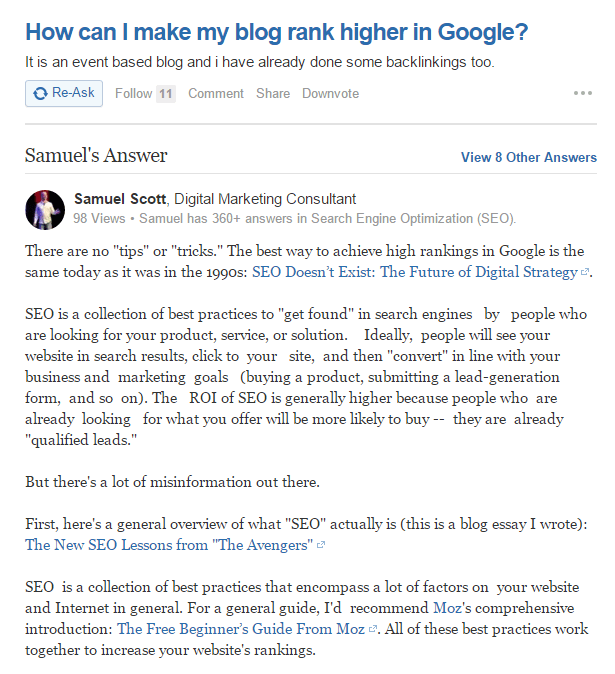 While blog posts certainly have their place for educating your audience and driving traffic via SEO, modern readers have become increasingly visual. In other words, anything you can do to condense the information of your posts into image or video is a major plus. Not only are such mediums more entertaining for readers, but it serves as another avenue of content distribution. Consider how infographics are liked and shared on social media three times more than any other type of content. 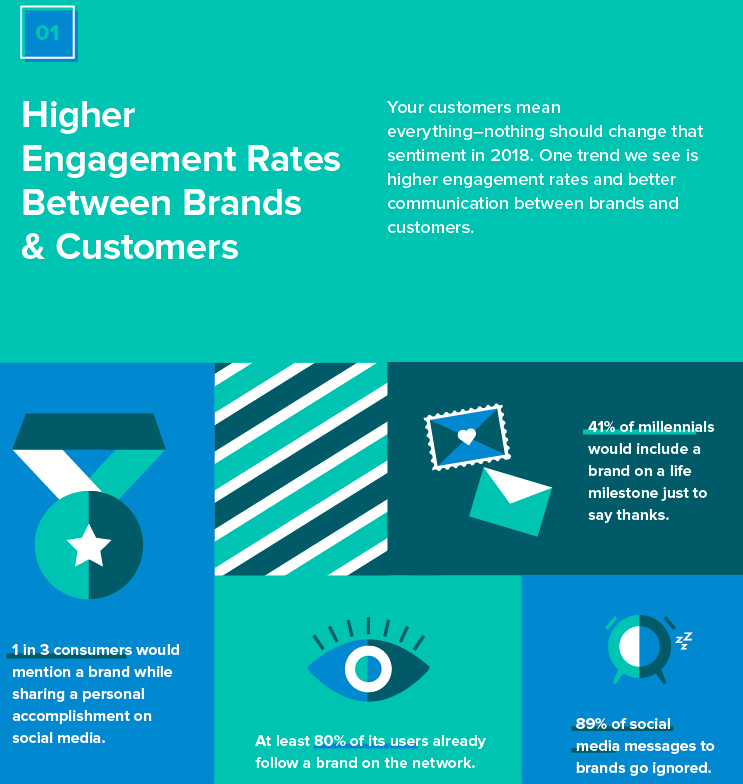 For our post, 6 Social Media Trends That Will Take Over 2018, we have a blog post and a restructured and condensed social media trends infographic. Cite a compelling quote? Pick out some sort of eye-popping statistic that’s worth sharing? Pick it out and transform it into something share-worthy. Free tools such as Canva and Piktochart are perfect for whipping up graphics to supplement your blog posts. Here’s some food for thought: every blog post you write is essentially a script in your hand. Whether through an informal vlog or an in-depth presentation, any topic you cover in a written piece of content can be quickly translated to the screen via video content marketing. For example, Moz’s “Whiteboard Friday” series takes blog-worthy topics and represents them as sort of off-the-cuff discussions for viewers. The transcript of the video is then taken and posted on the Moz blog. You could take the inverse approach to this by taking an existing blog topic and discussing it at length in your own video. 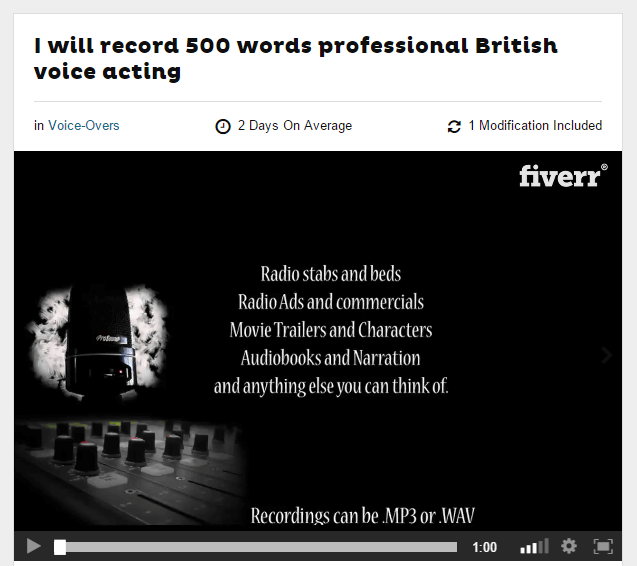 And if you’re not comfortable in front of the camera, you could always hire someone from a site like Fiverr to record a quick narration for a video on your behalf. While we traditionally think of content marketing as a “free” promotional tactic, there’s a time and place to pay for content distribution. Facebook ads represent a shining example of how up-and-coming content creators can drive immediate traffic and engagement to their posts. Running a promoted post as part of your Facebook strategy not only guarantees more eyeballs on your content, but allows you to target your ideal audience versus hoping relevant readers land on your site. 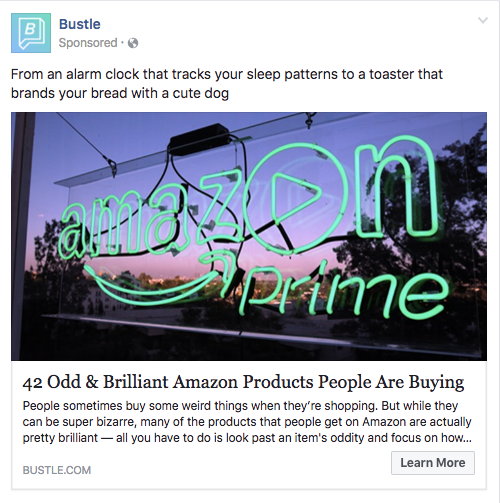 Facebook is a fantastic content distribution channel, granted you understand how their laser-targeted ad platform works. Promoting your own blog by contributing to someone else’s represents the bread and butter of up-and-coming bloggers and industry bigwigs alike. Why bother with guest blogging? For starters, it represents a win-win situation for publishers and writers alike. The publisher essentially gets access to free, high-quality content while the writer is able to tap into an audience that far exceeds their own. Many blogs that accept guest posts will likewise promote their content to their social feeds and email list, meaning even more exposure as a result of your work. What kills most guest posting campaigns is a combination of poor pitches and an overeagerness for backlinks, tough. You can’t just blindly blast guest pitches to editors of industry blogs and expect much traction. Yet again, it’s all about building relationships. You’re much more likely to get a response from someone who can put a name to your Gravatar and has seen your content or comments pop up at some point. As noted by Brian Dean’s guide to guest posting, backlinks aren’t everything. While you certainly want to point people to your site or social feed, the authority and credibility gleaned from a guest post represents a bigger long-term benefit than a mere link. The more blogs you manage to appear on, the more clout your blog receives by proxy. Guest blogging effectively brings your content strategy full circle as others willfully promote you. And hey, that’s the whole point of all of this, right? What Does Your Content Distribution Strategy Look Like? Effective content marketing means finding multiple avenues to push your posts. You want to squeeze the most out of each and every piece you publish. With an established content distribution strategy, you set your posts up for more visibility rather than scrambling for shares. What avenues are your to go-to’s when it comes to promoting your content? Anything we didn’t include on our list that you’d like to share with us? Let us know in the comments below!